Catherine A. Drees concentrates all of her efforts on defending clients who are facing misdemeanor or felony charges. By limiting her practice to criminal defense, she focuses on providing her clients with experienced representation. She spends every day fighting for her clients in negotiation and in the courtroom. Whether you are struggling against accusations of a simple misdemeanor or a serious felony, she will put her experience to work for you. Catherine is a decorated veteran of the United States Air Force, was in the Air National Guard, and worked an additional job to put herself through law school. 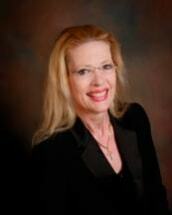 Catherine began her criminal law career with the Florida's State Attorney's office. She uses this experience to her clients' advantage, anticipating the way the other side will approach their cases. She is able to put herself in the prosecution's shoes and anticipate their arguments. She is also able to leverage her connections with attorneys throughout Volusia and Flagler Counties to effectively negotiate on her clients' behalf.